Son of a printer and publisher. After he saw an operation he abandoned his plans to enter the medical profession. In 1804 he started his studies at the schools at the Royal Acedemy, where Fuseli was among his teachers. In 1807 he first exhibited at the Royal Academy and his "Repose in Egypt" was bought by Thomas Hope. for his Egyptian Room. In 1809 he had his first pupil, Charles Eastlake. After the allowance of his father stopped in 1810 his financial position became difficult. It was worsened by quarrels about the prices of his paintings. He travelled to Paris with David wilkie and there he studied at the Louvre. Back in England he was arrested for debts but not imprisoned. 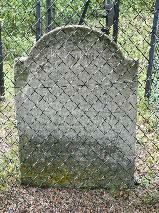 On 10 Oct 1821 he married the pretty young widow Mrs. Mary Cawrse Hyman (1793-1854). She already had two children and they had four more together. In 1823 he was imprisoned because of his debts and again in 1827. This time he painted "Mock Election" in prison and it was bought by George IV for £500. He was a friend of John Keats and during a dinner at the house of Leigh Hunt he was criticized by Shelley for his Christian beliefs. Haydon kept a diary for 26 years and the last entry on 22 Jun 1846 reads 'God forgive me, Amen!". He couldn't take his financial pressures anymore and cut his throat and shot himself in the head in front of his large painting "Alfred the Great and the First British Jury". His wife Mary died in 1854. The grave of Benjamin Haydon at the churchyard of St. Mary on Paddington Green, London.